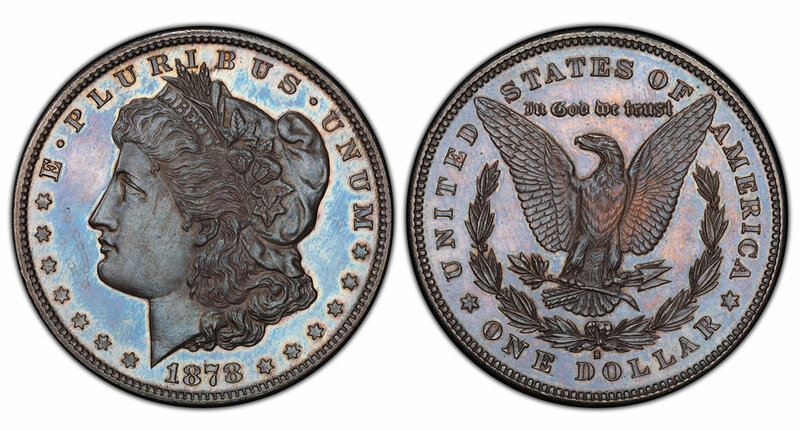 Professional Coin Grading Service (www.PCGS.com) has authenticated and certified the only known specimen strike 1878 San Francisco Mint Morgan dollar. The VAM 58 variety is graded PCGS SP65. Submitted by an East Coast collector, this specimen 1878-S silver dollar has been authenticated and certified PCGS SP65 and is the earliest known specially-struck branch mint Morgan dollar. Photo credit: Professional Coin Grading Service www.PCGS.com. "I knew it was special the moment I laid eyes on it," said the coin’s owner, an East Coast collector who wants to remain anonymous. He revealed there are preliminary plans under discussion for a future public exhibit of the coin in California. The collector purchased the coin at an auction in 2006 and recalled that during the lot viewing "it looked like a zebra among horses. Just too well made, it was struck like a Philadelphia Mint proof, and had obviously been handled with kid gloves." "When this coin was submitted to us at the June Long Beach Expo we instantly knew it was something special. After careful analysis we are pleased to designate it as a Specimen!" It remained in the Damon estate for more than 120 years until it was offered at auction by Doyle New York in 2006. 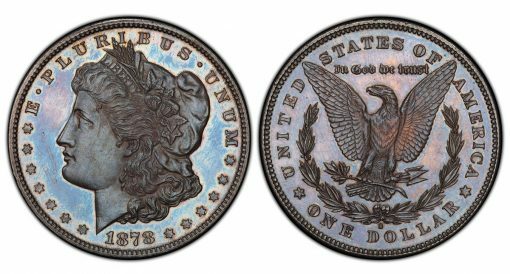 It was described by the auction house as "1878-S, Morgan Dollar. Brilliant coin, possibly a presentation piece…"
"The forensics for this coin are overwhelming," said Willis. "It has a medallic strike from fresh, new dies of the correct variety, it’s fully struck with square rims and with prooflike surfaces, there are no reeding marks, and no clash marks as found on other coins of this variety struck later." The San Francisco Mint, often called "The Granite Lady," has a history of creating special strikes, such as a specimen 1854-S $20 gold coin and an 1855-S proof $3 gold coin, both of which marked the beginnings of minting those denominations in San Francisco.